The ever-irreverent VIZ team are promoting their Lakes Festival exhibition plans with this satirical take on the British Library’s recent Comics UnMasked poster by Jamie Hewlett. Hot on the heels of the British Library’s “Comics UnMasked” exhibition comes the Lakes International Comic Art Festival‘s very own homage to art and anarchy in the UK – “VIZ Unmasked”. VIZ Unmasked will, amongst other things, reveal the dark art of how a VIZ comic is made through a fully interactive, animatronic, state-of-the-art museum experience. The exhibition will form a major part of a new, and still emerging,”Pop Up” Fringe over the Festival weekend (17th – 19th October 2014), aiming to reinforce its distinctiveness and respond the creative ideas of its supporters and collaborators. VIZ have also lent their name to this year’s special Comic Festival beer inspired by their long-running Biffa Bacon, the label art drawn by Graham Dury and Simon Thorp. The beer will be on sale during the Festival weekend at select outlets, including the Brewery Arts Centre, Castle Green, Wetherspoons, Ruskins and still-to-be-revealed venue for the “Pop Up Fringe”. 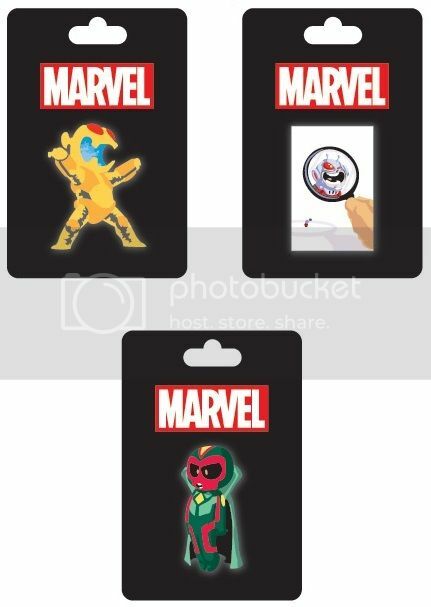 Skottie Young’s Artwork Comes to Life for Exclusive SDCC Pins!